Taran Killiam is a lot to handle, but "Single Parents" flashes enough smart quips and cute kids to believe this ensemble comedy will make it work. The affable “Single Parents” pilot plays out a lot like co-creator Elizabeth Meriwether’s last TV pilot — the Fox hit, “New Girl,” which ended earlier this year. There’s a lone weirdo in trouble, a group of friends who are hesitant to help, and, somewhat inexplicably, the group rallies around the outsider just as their personal crisis peaks. In “New Girl,” said weirdo is Jessica Day (Zooey Deschanel), a grade school teacher spinning out after a bad breakup with her boyfriend. Looking for a new home, she sits down for an interview with three dudes who need a roommate. For those who forgot, Jess pitches herself as a bit of an emotional wreck who sings to herself and watches “Dirty Dancing” on repeat — you know, the ideal roommate. Nevertheless, the guys accept her and even come together at episode’s end to save her from a terrible date. In “Single Parents,” the isolated figure is Will Cooper (Taran Killam), a single dad to a grade schooler and a man caught in a “vortex” of parenthood. After just moving to town, he meets a diverse group of single parents whose kids all share a class with WIll’s daughter, and tries to recruit them to help out more in the classroom — you know, the ideal new friend. Nevertheless, the crew accepts Will, sets him up on his first date in years, and, well, let’s not spoil the ending. It’s a formula, but it’s a formula reliant on casting and characters; two things great sitcoms always get right, and two things working to the advantage of “Single Parents.” The first episode may not be perfect — Killam has some work to do honing his exaggerated sketch of a human being — but it quickly builds a set of charming characters, exhibits sharp comic timing, and the surprisingly expansive cast of children are (even more surprisingly) all funnier than they are adorable. In other words, “Single Parents” is still finding its groove, but an impressive number of pieces are already clicking. Oh, and that includes Leighton Meester, who again finds herself as a co-star in a broadcast comedy ostensibly led by a dude. After “Making History” was canceled on Fox, ABC wisely scooped up the xo-ex-“Gossip Girl” actress for a stealth leading role here. Though limited to a few witty barbs and a glossed-over backstory in the pilot, Meester still shows off the presence, timing, and delivery of a sitcom star. Hopefully, this is a lasting spotlight for her to flourish. Through this point in the pilot, Killam’s character feels like a never-ending “SNL” bit. He’s meant to be unaware of how he’s perceived, but how ignorant can the guy be? It’s hard to believe any man under the age of 40 thinks an NFL jersey makes a good first impression, just as it’s unclear what Will is trying to do when he starts throwing his mermaid bag around a park — there are other ways to show Will has lost his mojo than tired cliches and big, showy, embarrassing gestures. 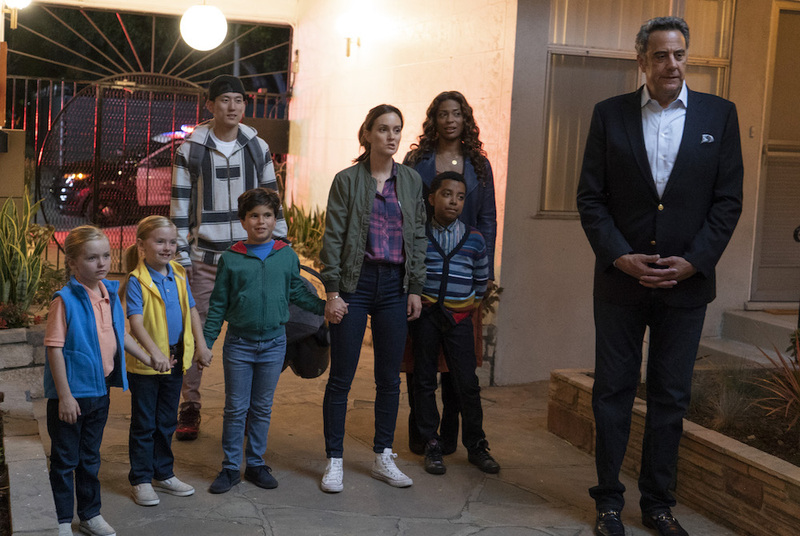 These kinds of specific insights, if consistently nurtured, can carry Will through growing pains, while the excellent Meester, a well-cast Brad Garrett, and strong emerging talents like Jake Choi and Kimrie Lewis provide more than enough reason to look beyond the lead. “Single Parents” is an ensemble, and one that should get better, whether it embraces the formula or breaks it. “Single Parents” premieres Wednesday, Sept. 26 at 9:30 p.m. ET on ABC.